Waste water from the North Texas area becomes Houston’s drinking water. Wastewater from the Dallas-Ft. Wroth Metroplex flows downstream 250 miles in the Trinity River and into Lake Livingston, where Houston gets most of its water. Read the details. 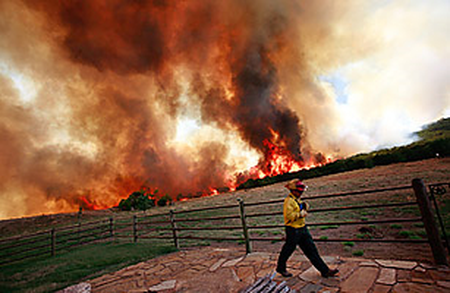 The drought in Texas could have worldwide effects. Did you know that too much acidity in your body can cause pain, weight gain, fatigue, and other health problems? According to author Michelle Schoffro Cook ( The Ultimate pH Solution), there are many ways to combat excess acidity and to start feeling great. 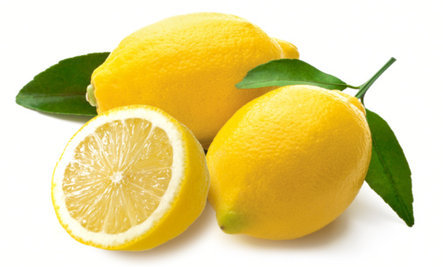 One is “Squeeze the juice of half a lemon into a tall glass of water and drink immediately. This one step will help you to quickly reset your body chemistry.”More information. The Azusa, Texas water treatment plant is being buried in its own sludge. Removing sediment from the water of the San Gabriel River is piling up sludge faster than the city’s water treatment plant can get rid of it. According to the Jakarta Globe, a parking attendant in Jakarta was arrested for receiving a kilogram of crystal methamphetamine from a source in the United Arab Emirates that was delivered via a courier service. 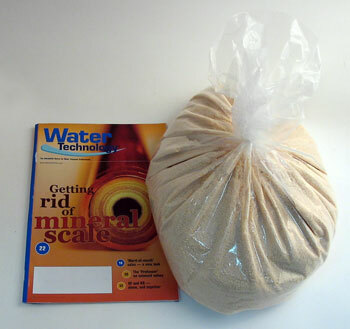 The bad news for the water treatment industry is that the meth was delivered in a water filter. The powder was disguised as filtration medium but was confirmed to be methamphetamine by a lab test. Given that the level of craziness generated by the War on Drugs is even scarier than that of the War on Terror, water filter shipments will likely now be subject to search and seizure. It took only a single nitwit with a bomb in his shoe to force the whole world to remove its shoes at airports. “They become conduits, or straws, which draw down potentially hazardous materials into the groundwater,” said Cheryl Wong, a land use program manager with Santa Cruz (CA) County. She is speaking of unused water wells. According to Ms. Wong, there are some 1000 abandoned wells around Santa Cruz County, “. . .ranging from dozens to hundreds of feet deep, tucked into backyards and agricultural fields throughout the county,” and these pose a significant threat to groundwater. The county is offering grants of up to $300,000 to encourage owners to close off these unused well to protect the county’s water supply. More. About 175 miles of Knoxville’s wastewater system has been replaced or rehabilitated in a massive project intended to stop sewage overflows, improve waterways and help the city cope with growth. Cities face a never-ending battle to keep up with the expense of replacing aging piping systems. In what could prove to be one of the great advances in knowledge of our age, Russian scientists breached Lake Vostok in the Antarctic on February 5. 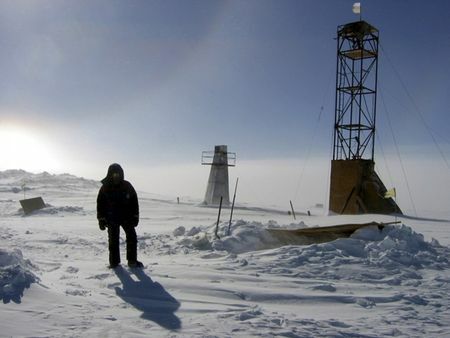 It is the first time one of Antarctica’s subglacial lakes has been penetrated. Week killer makers, with profits in the billions, expend enormous amounts of money to control press coverage of their products and avoid paying for cleanup of the mess their products leave behind. Residents of a mobile home park in the Great Falls, Montana area have been warned not to drink their tap water because it contains arsenic four times higher than what is considered safe for human consumption. And that isn’t the only problem. 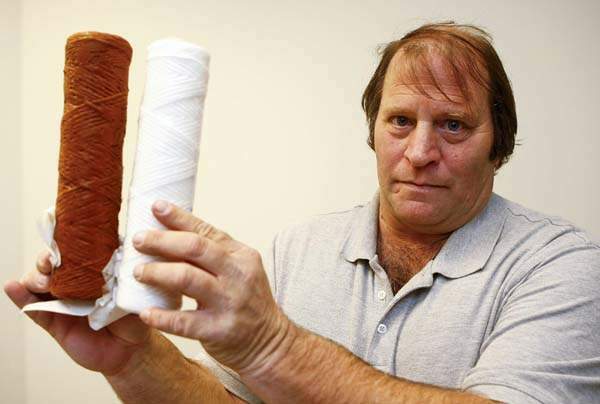 The resident in the picture shows what the perpetual sludge in the water does to his sediment filter in only a month. The source of the arsenic at the trailer park is unknown. The recommended limit for arsenic in drinking water is only 15 parts per billion. Reverse osmosis and a variety of specialty filter media can reduce arsenic. National Drinking Water Week is only 3 months away! The former owner of a southwestern Pennsylvania wastewater firm has pleaded guilty to dumping millions of gallons of water containing natural gas drilling wastewater, sewage sludge and restaurant grease into streams and mine shafts in a six-county area. The EPA says that more testing needs to be done on Marcellus Shale fracking operation discharge into rivers.See video. A grant from the Environmental Protection Agency (EPA) will help improve the drinking water treatment system in Andrews, Texas. The grant for $388,000 will be used by the city to install a filtration and reverse osmosis system to reduce arsenic and fluoride levels in drinking water provided to municipal customers. Exposure to high levels of arsenic can result in kidney disease as well as lung and liver cancer, and excessive levels of fluoride in drinking water can result in abdominal pain, nausea and vomiting. Newtown Creek Wastewater Treatment Plant in Brooklyn hosted a free guided tour for couples that was billed by the city as an “unforgettable” way to celebrate Valentine’s Day. The complex is the largest of New York City’s 14 sewage treatment plants, processing 1.5 million gallons of waste every day. by Kate Cline, Editor of Water Quality Products magazine. Several bottled water bans have made it into the headlines in the last few weeks—first, the National Park Service announced it would ban sales of bottled water at Grand Canyon National Park, then the University of Vermont announced it would ban sales of bottled water on its campus. Both organizations cited the environment as the reason behind the bans. Both also will sell cheap reusable bottles and offer bottle filling stations instead. As with past bottled water bans, the International Bottled Water Assn. quickly responded in opposition, citing EPA statistics that bottles make up a miniscule portion of U.S. waste, and that in the absence of bottled water, consumers are likely to opt for bottled sodas or sports drinks rather than carrying and refilling reusable water bottles. Do you think these bans are justified? Is there a way for bottled water to peacefully coexist alongside tap water or filtered water? Occasional Comment: Bottled water is another of those thorny many-sided issues. First, there’s the rights angle, and it seems to us that banning anything usually isn’t a very good idea. Then there is the “lesser evil” consideration, unless the U. of Vermont is also banning sugar/chemical drink machines from its campus. We would certainly not want students to waste money on mere water when for the same price they could be making themselves fat and unhealthy with Pepsi. It isn’t often that the International Bottled Water Association says something sensible, but here’s a video where they make some interesting points.–Hardly Waite, Pure Water Gazette. 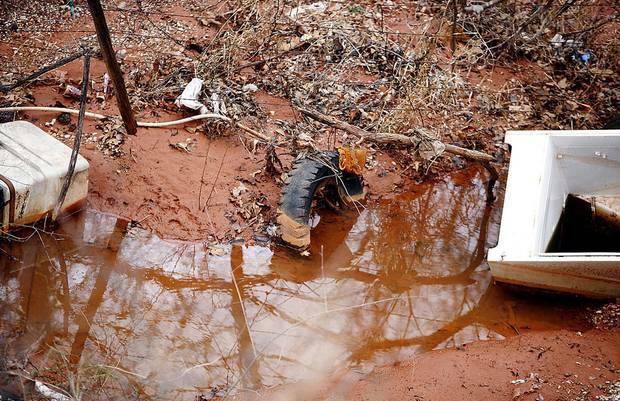 Trash-dumping citizens in Edmond, OK are damaging the area’s drinking water. After the amazing participation of 300,000 persons worldwide in 2011, Water Monitoring Day is being launched for 2012 with high hopes. Winners of the 2012 Water Prize have been announced, and again we were bitterly disappointed at being passed over. The EPA plans to install 30 wells in the Glendale-Burbank, CA area in March to monitor levels of chromium 6 in underground water in order to get a fuller picture of how extensive the contamination is. An Italian woman died of Legionnaires’ Disease contracted in a dental office. The foul smell in Eight Mile, AL may be coming from the water. The water supply system at Mims (Brevard County) FL has struggled for some time to meet EPA standards for THMs (trihalomethanes) in its drinking water. Trihalomethanes and other byproducts form when disinfecting chemicals such as chlorine are added to kill the much more acute health threat from viruses, bacteria and other microbes. The U.S. Environmental Protection Agency estimates drinking a half-gallon of water containing 100 parts per billion of trihalomethanes daily for 70 years could result in three more cases of cancer per 10,000 people. The EPA requires community water plants to limit TTHMs to 80 parts per billion, as measured by the running annual average of periodic tests. The average result for the Mims plant in 2010 was 190.25 parts per billion. One test last year reached as high as 536 parts per billion. In December, TTHMs measured at 34 parts per billion, bringing the running average to 95 parts per billion. Full Story.